Although recent years have seen an upsurge in rural-based weddings, complete with stables and gingham backdrops in the photoshoots, there’s still an awful lot to be said for a city wedding. One of the great things about Queensland is that it offers such a wide range of choice of locations, so if you’re thinking about a more urban affair, Brisbane has it all. 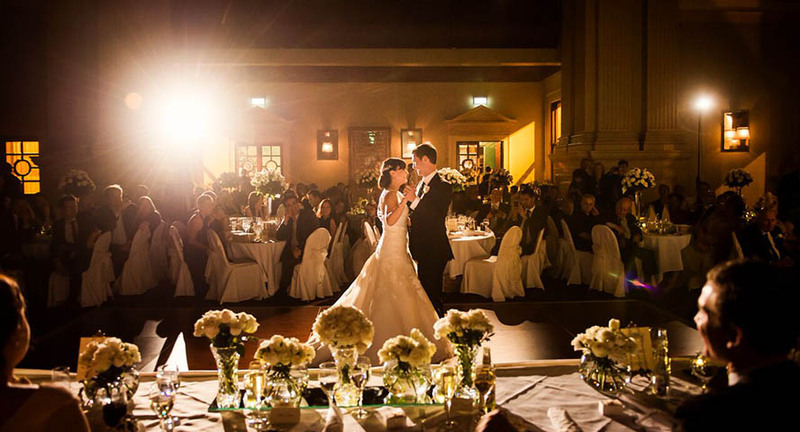 Brisbane is one of the best cities in Australia to visit, and the things that make it great for tourists make it magical for weddings. The region has almost 300 sunny days each year, as well as a comfortable all-year-round temperate climate, which means you’re good to go in July or December. The city itself is perfect, too, with a busy international airport, easy access to loads of gorgeous beaches, botanical gardens and parks, as well as a multitude of indoor and outdoor venues. There’s also a huge range of service providers and celebrants who can make your vision come true. You could even decide to elope while you’re on holiday in the city – it’s surprisingly affordable and certainly makes for some interesting conversations when you get home! Outdoor weddings all year round – the chances are you’ll get some sun even in the middle of winter here. Whatever month you get married in, the trees and flowers will be out in force to make an amazing backdrop to the proceedings. The chance to make your vows at any sort of venue you like – Queensland has no legal restrictions on wedding venues – as long as you have the right celebrant, you’re good to go. Brisbane is a real-life, thriving city rather than a wedding-resort-complex where you hang around in a queue waiting for your turn on the beach. You can also go a bit more bespoke than you’d be able to with a package wedding. While it’s a city, it’s still a relatively small one, so you’ll have all the amenities of an urban setting for a less-than-urban cost!